In this photograph the side of the Carnegie Library can been seen. 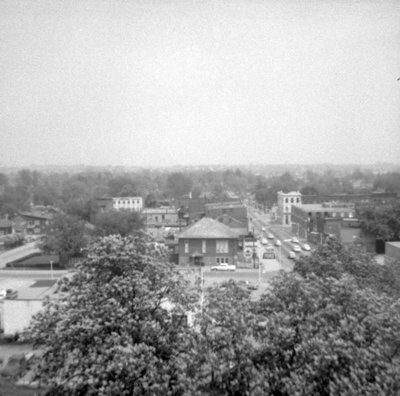 Looking East from All Saint's Anglican Church, May 1964, Brian Winter. Whitby Archives A2013_004_350.